Almost certainly a Waterloo battlefield trophy, this spear pointed Klingenthal made An XIII Cuirassier sword is in good condition. 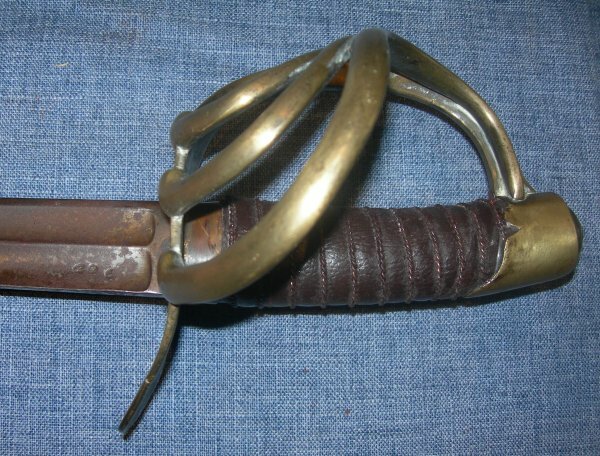 Why was this An XIII French heavy cavalry sword a battle trophy from Waterloo? Because a) I bought it in England, b) it has a spear point blade but no post 1815 "poinçons" (inspection stamps). The exact date of manufacture of this sword is not known because the maker and date inscription along the spine is now very feint (you can just make out some of it), but I know it was made between the 1st June 1811 and 1st January 1812 because of the poinçons on the blade, one being a star over the initial "P" for Capitaine Jean Pache (plus a wreathed "B" for Bick and an "L" for Lobstein). 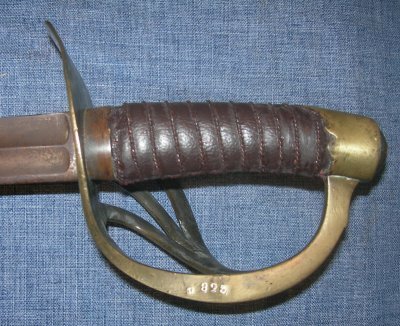 Most but not all An XIII's had their blade points ground down to spear point (from hatchet point) just before Waterloo. Although some swords survived to serve the French after the French monarchy was restored, these would have had new (post 1815) inspection stamps / poinçons, and often new hilts as the designed changed and existing blades were re-used. So this is surely a Waterloo battle trophy. The 37 1/2 inch blade is very sound but with patina its entire length; you could clean it but I think it would bring the blade out of character with the rest of the sword. The brass hilt is in good order, cleaned but not overly so to the front, patinated inside; a good effect. The blade is firm in the hilt. The grip has been replaced quite sympathetically / authentically at some point in time. This is an authentic French Napoleonic An XIII dating from 1811, I absolutely guarantee it. Beware of the vast sea of reproductions on the market, many fraudulently aged. 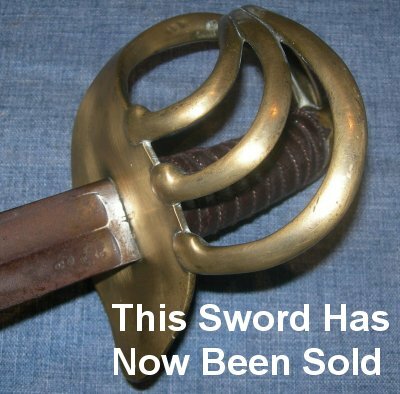 Having a battle trophy from England's finest land battle hour is quite something, especially when it only costs what this sword does. Full sized images upon request. The item reference number is 935 (435).